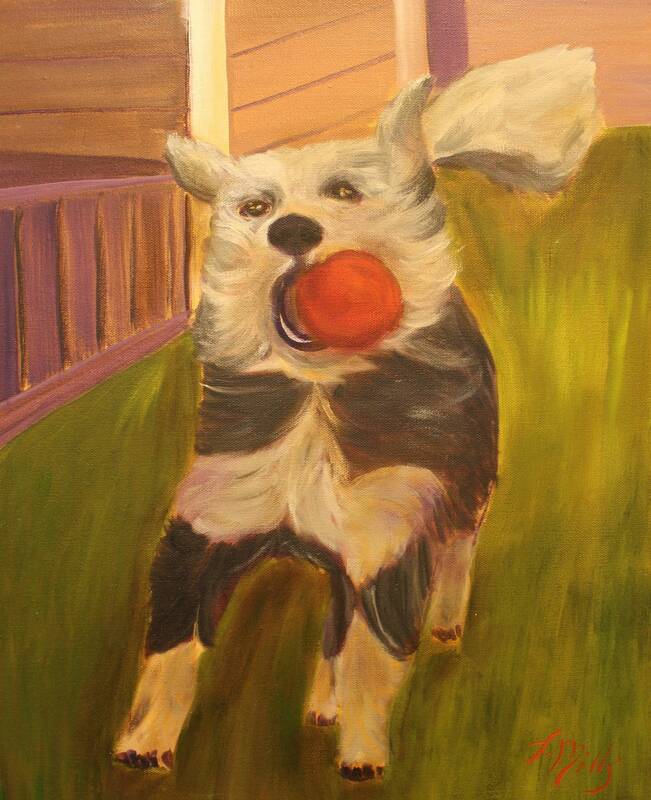 This happy and whimsical painting captures a dog running with their ball. This is an original oil painting measuring 16 x 20. It is on heavy duty gallery wrapped canvas with 1-1/2 inch sides. 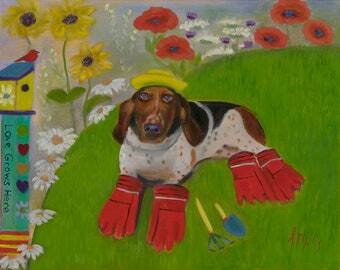 All my paintings are varnished for protection. Framing is available at a modest additional cost. Please convoy me for information.